(ideas.) Translation: “Atlanta’s changes will be quite dramatic.” This text first appeared in the Saporta Report as a guest column. “Atlanta can gain inspiration from the “little belt” in Paris.” It was written in preparation for the panel discussion, “Grand Plans/Everyday Life: Le Grand Paris / Atlanta Beltline” at Georgia Tech the following Saturday. In 1994 I was studying abroad in Paris while in college at Georgia Tech and I had no idea I was living half a block from a grand urban experiment. 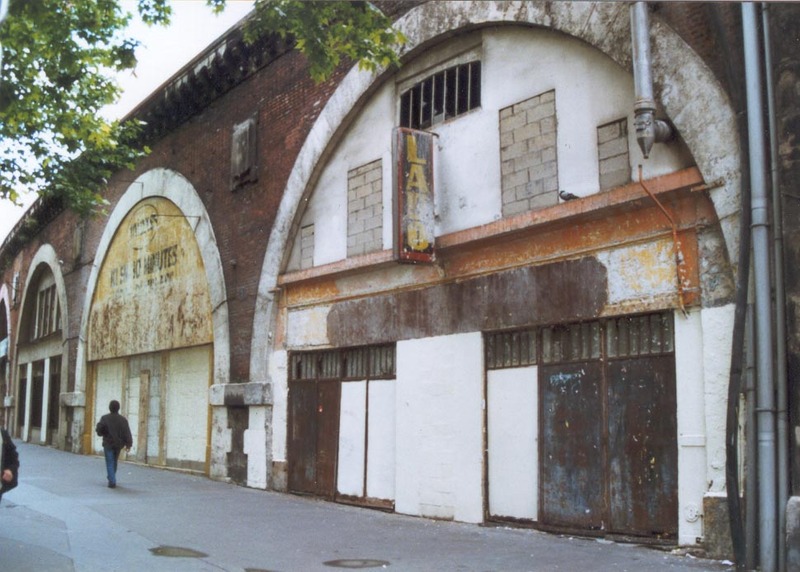 The old elevated railroad viaduct running east along Avenue Daumesnil in the 12th Arrondissement that I naively passed underneath at least twice a day on my way to the market or laundromat wasn’t just an old abandoned relic. 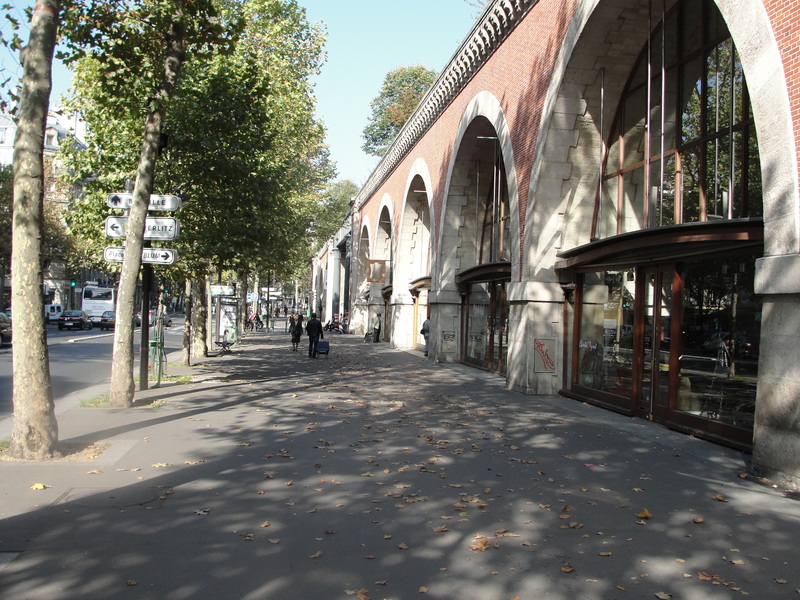 It was months away from the groundbreaking of its transformation into the Promenade Planteé and Viaduc des Arts – a half-mile elevated walking garden up top with arts-related businesses and studios housed in its elegant arched structure marching down the avenue (the Promenade continues off-structure for another couple miles east toward the Bois de Vincennes). When I saw it fully transformed on a visit during graduate school, I became captivated with the idea that well-conceived infrastructure can transform our lives and change the way our cities grow. Fast forward to my Atlanta Beltline thesis in 1999. It was exactly that kind of proposal, and the epic sequence of events that unfolded over the 11 years that followed, permitting a crazy idea to evolve into one of the most strategic urban investments underway in the country, which is now enjoying its own series of groundbreakings. Last month I had the opportunity to go to Paris again. As it turns out, the Promenade Planteé/Viaduc des Arts is not only a transformative project in its own right, it is a prototype for a much grander experiment. Much like Atlanta’s Beltline, it was initially seen as a pipedream by most. But questions about who would go there faded when it opened and throngs of Parisians and visitors climbed up three stories to enjoy its garden environment and unusual perspective of the city. It has been a huge success and has inspired similar transformations including the High Line in New York (partially open) and the Bloomingdale Trail in Chicago (in planning and design). But that influence is not its intent; it is the prototype for the much grander Petite Ceinture, or “Little Belt”. 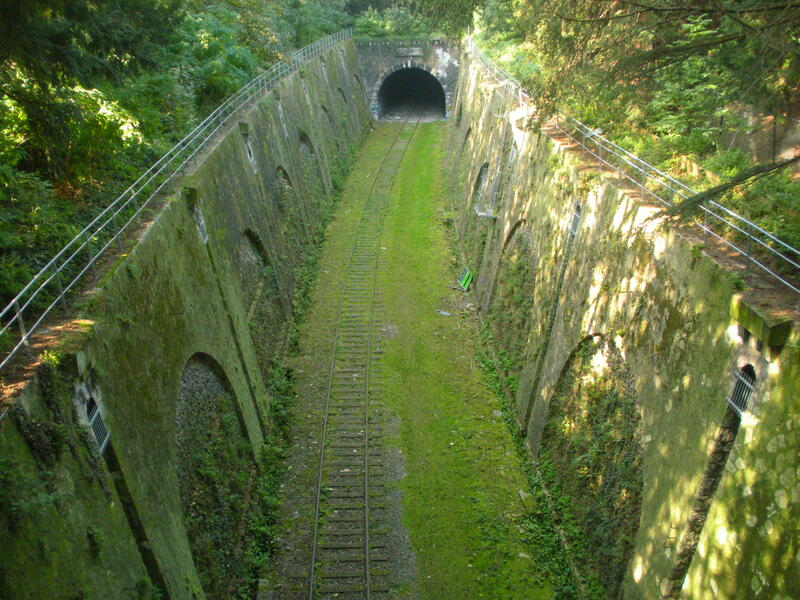 The Petite Ceinture is the Beltline of Paris. It was built as a rail loop for freight exchange encircling the ancient center of Paris. It connects the large train stations that serve central Paris and its 22 mile circumference (the same as Atlanta’s) originally included passenger service. Ridership declined as the subway system expanded after 1900, but freight service continued until it was largely shuttered in 1993. The initial vision for the Petite Ceinture’s transformation was even grander than the Promenade Planteé, and much like Atlanta’s Beltline. 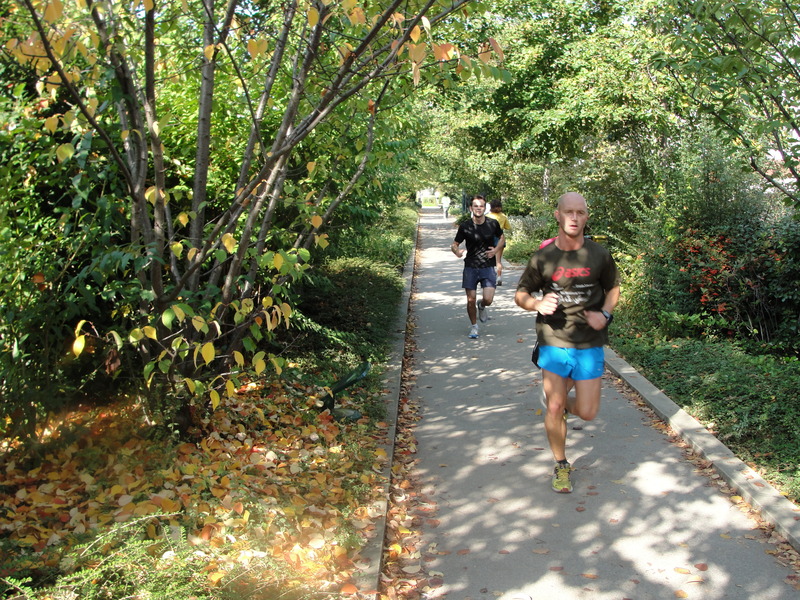 A linear park with combined transit and trail, it would link different districts together, unobstructed by traffic on city streets and spurring development along its route. Various circumstances will prevent that vision from being fully implemented, not least of which is the heavy passenger rail (RER C) that now occupies its western front. Furthermore, its eastern end has long, deep tunnels that make reuse for pedestrians or bicycles unlikely. 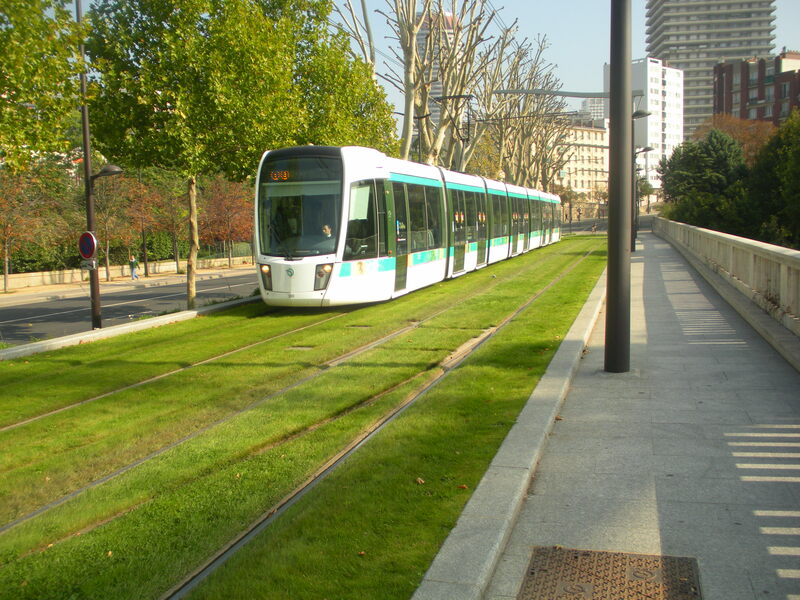 And in the south, the tramway was built along a parallel roadway (the T3 line on the Boulevard Maréchaux, which is excessively wide; Atlanta has no such parallel roadway). So the most visible reuse of the corridor will likely be a greenway trail along this southern crescent, much like the Promenade Planteé, but possibly without the direct economic and cultural component found in the Viaduc des Arts. The vision of transformation for the Petite Ceinture may be less comprehensive than the Atlanta Beltline. Except for their origin, circumference and physical appearance, the impact each has on its city will vary as broadly as the two cities themselves. But the project is still quite relevant for Atlanta. When I arrived in Paris last month after such a long break, I was reminded immediately of the city’s physical immensity and cultural weight. In many ways it is exactly the same place it had been 15 years before. Paris has sophisticated layers of transportation infrastructure ready to take you across the continent or around the corner. This network is so fully engaged with centuries of city-building that many consider Paris to be “finished.” It is not, but changes will come mostly in the margins, as more car lanes shift to bike and bus lanes, transit is streamlined and buildings become cleaner and greener. By contrast, Atlanta’s changes will be quite dramatic. We are less established and more impressionable both physically and culturally to substantive, structural change. Our cultural identity is still emerging and our physical construct is very much a work in progress. We have world-class institutions, facilities and corporate leadership; we have a young, energetic and entrepreneurial population; a great climate – these are the things that make Atlanta an interesting place to live and work. But we are also facing some pivotal questions about our economic and environmental sustainability. If we are honest and courageous in our response to these questions about what infrastructure is required for sustainable regional growth, then we can resolve the problems we have created, and in the process reclaim our leadership role in the nation.